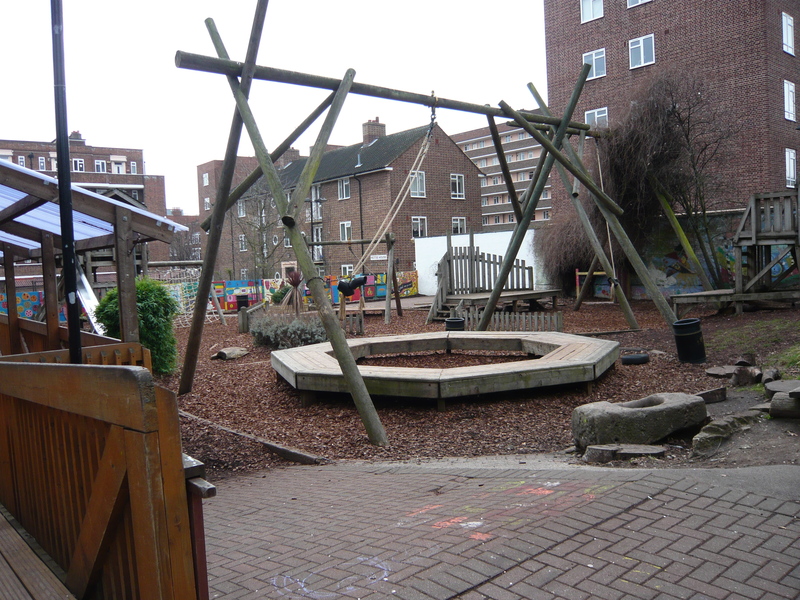 I must have started going to the Adventure Playground in St John’s Wood Terrace when I was about 3 or 4, in 1966 or 7, I have a feeling that I did a couple of ‘academic’ years there before starting in the infants section at Robinsfield. There was children’s playgroup in the mornings, I assume, because I have clear memories of ‘The Wheels on the Bus’, ‘Incey Wincey Spider’ and’ I Hear Thunder’, as well as painting and drinking orange squash. None of it matched up, however, to the incredible fun and thrill of being allowed out to play in the Adventure Playground and see what the big children had built since the week or apparently the day before. Fantastic structures, unbelievably dangerous, in retrospect I can’t imagine how it was allowed, thank Goodness it was. One that sticks most firmly in my memory is a large wooden structure, a cube of about 3 x 3 x 3 metres (even allowing for my small stature making it seem larger) filled with large off cuts of foam rubber into which one dived from a platform, and then squirmed out through a tiny hole near the bottom of one of the walls, and again, and again, and again. There were the inevitable zip wires and climbing frames and just bits of stuff, wood, nails, big beams, and rubble that we spent our time exploring. I was aware, subconsciously of the wide range of people who sent their children to the Adventure Playground, maybe there were no other playgroups at the time, I really don’t know. I was always amazed by a brother and sister who came with their own nanny in a uniform, the girl was allowed to wear trousers to be at the playground but always had a skirt over the top of them. I was hideously embarrassed once going back to their house for lunch, when the nanny suggested that I take off my trousers now that we were out of the playground, but of course I had failed to bring the necessary top skirt. We all longed to be part of the elite group of big children who went to the playground after school and built the fantastic structures. 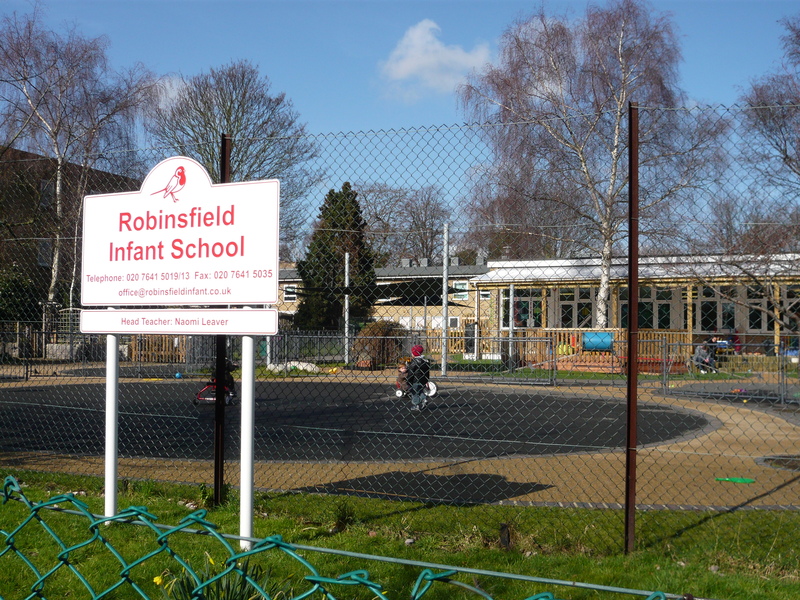 I graduated from the Adventure Playground to Robinsfield Infants School which, conveniently for my mother, was exactly opposite our house, so she could watch me failing to integrate in the playground; actually she couldn’t do that until my seniority permitted me to move down from the upper playground to the lower one. The playgrounds were huge, you could run for miles, and when you got down to the big children’s playground there was a wonderful climbing frame which was a couple of horizontal telegraph poles on a concrete base making a perfect cowboy and Indian stage coach, and more often a gun carriage or a tank (yes, there were a lot of children from the King’s Troop in my class). The school hall was the centre of the building and I am immensely proud to really be part of the ‘Music and Movement’ generation. My classmates and I spent lengthy periods of time being a tree and letting our branches grow or being a rabbit hopping around other trees. It still remains a point of reference with people my age. When I moved inexorably from Robinsfield to Barrow Hill my father insisted on walking me to school on the way to catch his tube, the fact that he walked incredibly fast on very long spidery legs wasn’t a problem, even though I suffered from asthma, the really bad bit was that he was dressed in full John Steed attire, pinstripe trousers, black jacket, bowler hat and shiny briefcase, not all right. I started by persuading him to leave me at the corner of Bridgeman Street and Allitsen Road, and finally managed to be allowed to walk to school on my own. I thought that it was because I told my parents that I met up with friends from school en route (true) but I suspect that it had more to do with my father needing to get into work earlier. Either way it meant that we could indulge in our favourite pastime of sticking lolly sticks into the parking metres along Charlbert Street to rack them up to the maximum time, always wondering why motorists hadn’t worked it out and why my mother wouldn’t do it when we parked on a meter elsewhere. Barrow Hill was quite simply brilliant. I suppose that at that time state schools were actually funded and the facilities were astonishing. There were two full time music teachers and a full time drama teacher, a brass band, an orchestra and a school production of a musical ‘The Idea’ from which I still sometimes find myself humming songs. The G.L.C. [Greater London Council] still existed in those pre-Thatcher years and, therefore, London school children had the chance to go on regular theatre and concert trips. The school was, still is, a Victorian building, those horrible green tiles, with the classrooms opening off three central halls which were used for gym (those dreaded B.A.G.A. [British Amateur Gymnastic Awards] awards that I always failed), assembly, concerts, and, best of all, big art projects. I remember, in the fourth year, doing an enormous paper mosaic of a queen, something to do with the Byzantine period? Bizarrely, there was a swimming pool in the basement, tiny, very hot, where we went for swimming lessons which were hard work as there wasn’t really room in the pool to do more than one or two strokes. My second year teacher was Mr Lloyd who I fear worried the parents as he was amazingly hairy, not that surprising as it was the early 70’s. His classroom was packed to the gills with animals, reptiles and fish of all sorts. We weren’t in the classroom much; possibly because of the smell, but spent what seemed to be all our time down by the canal in Regent’s Park pond dipping, (I don’t remember anyone falling in) or collecting flowers and branches and insects to take back to add to the collection in the classroom. The mice, Romeo and Juliet, had 14 babies on Valentine’s day. We found time to do projects on the Aztecs and the Incas, a trip to the, then, Museum of Ethnography, Cats, a trip to see the mummies at the British Museum and learn that butterflies smell with their feet as Mr Lloyd stamped around the classroom being said butterfly landing on things he did, and didn’t, like. My third year teacher was Mrs Brownjohn, whose husband I believe was the poet Alan Brownjohn, whether or not this was the case, we always did the best assemblies with fantastic scripts and song lyrics that she brought in, she also got us all reading and writing poetry as if it were the most normal means of expression imaginable. My fourth year teacher was Frank Flynn, less hairy, but just as brilliant, as Mr Lloyd, with the added advantage of wearing purple flares. He took us to France where we stayed with pen pals. We had been studying French, I seem to remember, with a French woman, I don’t know if she was a volunteer or paid, but the book was about Madame Souris et Nestor le facteur, and we learnt a song about a blackbird losing its feathers. Friends of my age, here in France where I now live, deny all knowledge of either the book or the song, so they must have been part of progressive 60’s British education systems. 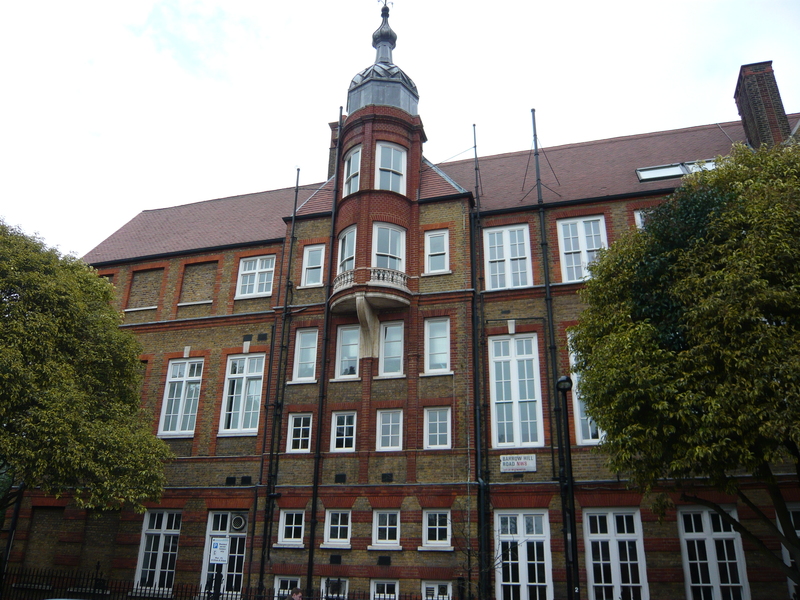 My primary school education was quite simply excellent and I know that Barrow Hill has maintained that reputation and is one of the reasons that people choose to live in St John’s Wood to this day. 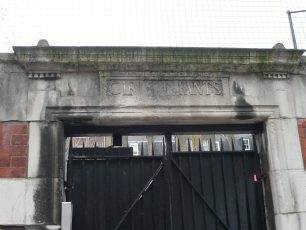 This page was added on 05/03/2012. I must have been at Barrow Hill from approx 1970 to 1974. Mr Parker was the Headmaster and Mrs Sadler was his lovely Deputy Head. I have such fond memories of them both. I remember the teachers mentioned by other pupils:- Mr John Lloyd, Frank Flynn and especially Desley Agnew, an Australian lady who I think was from Darwin. She had us working on an Australian project for a whole year as far as I recall and we learned everything she could teach us about Australia. In fact, I loved the project so much that I always wanted to go there and eventually got the chance to live out there for a year. What a fantastic place it is. Anyway, I also remember making up dances at playtime on the steps in the playground with Helene Gold, Karen Jacobs, Catherine Cowie, Judy Flewin and Katy Duckworth. I remember one of those dances being to ‘You’re so Vain’. I also remember doing a project on the Aztecs and the Incas and also remember the funny swimming pool we had there. It was like a huge rubber pool inside a room in the basement I think – not much room to swim though! Other pupils were Mark Tomlinson/Tomkinson & Oliver Darlington I think. What a lovely school it was. I’m still friendly with Helene nearly 50 years later! I am 10 years old and still go to Barrow Hill now. I am currently in year 6. As I was scrolling through your comments I instantly became curious about the history of the school. The things that I have discovered are AMAZING! and I thank you all for giving me all of the information that I know now . I was at Barrow Hill for three years from 1965-1968. My first teacher was Miss Barton who told us about her travels in Borneo. Then I had Mr Perkins who was a wonderful teacher despite appearing to be really old! Mr Porter was the Headmaster and I remember the swimming pool and drama lessons with Miss Binstead(?). I remember John Brown – he and I started a football team called Hill Grove and we used to have meetings above his dad’s shop. I also started Aquila football team – happy days – and I played for the Flag pub team. I went to Barrowhill and then Kynaston school with Mickey Mooney, Peter Newman and Ray Rumble. I remember Terry Farmer and his sister Linda. Me and my brother Geoff lived in Townshend Court. I was at Robinsfield then went to Barrow Hill mid-1970s. I agree with the comments already posted – it was a great school. At Barrow Hill I remember Mr Lloyd and the science lessons, the chicks, the slow worms? The films at the end of the school year in the Hall, the swimming pool, the music room, the end of year concerts and a trip to the Royal Festival Hall. Gymnastics – was Mr Flynn the teacher? Learning about the Aztecs and Incas – loved that. Tania – I recognise your surname were you in the same year as me I wonder? I posted a couple of Robinsfield photos on Friends Reunited several years ago but now I’m not signed up for that anymore….. 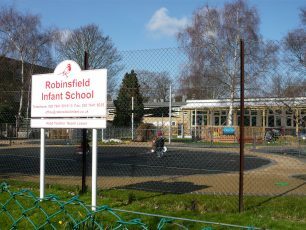 So many great memories Robinsfield and then Barrowhill. Loved the playgrounds at Robinsfield… the wood struts that made up a tepee type structure, the horizontal long logs in the bottom and the two great climbing trees in the top…. Mrs Fisher head teacher and Miss Binstead…. or was she Barrowhill? Miss Johnson, Mr Lloyd, Miss Kinzen and Miss Barker and Mr John Nettles and Monsieur Barber…. aaahhhhhhh memory lane…..
Hello Terry Farmer, I’m sure you remember me from the Wood back in the 50’s/60’s, how are you, I still get down the Wood now and again,but it is nothing like the Wood we knew back then.The only real pub left is the Ordnance. I joined this group a good while ago but then got involved with Facebook, I see a few names that I remember so will try to get in touch. The Polish lady was Miss Krummell and the teacher who used to play cricket was Mr Maddison, a Yorkshireman. You and I were in the same class Dave. I went to Barrow Hill between 1956-1963 , lovely memories. Mr Porter, I think, used to run the school football team , Mr Nash who always used to pull your sideburns if you played up, a Polish woman who used to teach italics , and a teacher who, when in the cricket season , set up a wicket and if you bowled him out he would give you sixpence and if you caught him he would give you thrupence. If anyone remembers me I would love to get in touch . I lived in Abbey Gardens and attended Robinsfield from 1964/67and then Barrow Hill until 1970. I remember my teachers were Mrs Konzon, Mr Grew ( Mrs Grew taught at school too), and Mrs Sadler was deputy head and my teacher in the final year . Mr Porter was the headmaster but retired and in came Mr Parker. I remember my time there with much fondness . My first teaching post was at Barrow Hill in 1970. I worked with John Lloyd who was an inspirational teacher. He taught me more about education than I ever learnt at college. We worked as a team doing projects on the Incas and the Aztecs as well as scientific experiments. I do remember the prolific mice! One year we incubated chicks’ eggs.I recall little fluffy chicks running wildly around the hall. Mr Parker was the head with Mrs Sadler his deputy-it was a great time to teach. I left in 1975 to have my first child. I lived in the terrace from 1948 till the late 60s. I was one of the first children to use the Adventure Playground. 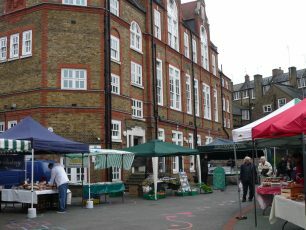 I went to Barrow Hill school then on to Fleet road in Hampstead. I was friends with a John Brown whose dad had a shop opposite the Star pub, so many happy memories of the wood and a real playground. I attended Barrow Hill from 1951to 1956, the Headmaster was Mr Porter. I remember Miss Johnson and 2 Hungarian boys who arrived in our class. At the time I had no idea where Hungary was or what a revolution was. I remember the outside toilets and the cane and boys having their ears twisted by an unpleasant small male teacher. I remember play times and a few friends first names, but I think I must have been a slow starter academically as I don’t remember any lessons. I went to Barrow Hill between 1968 -1972 and Mr Lloyd was a great teacher and he was Welsh, Angela. Happy days. Townsend Estate. That was my adventure playgound, although I never lived there. I remember the Estate being built. I was very young and was adopted by a group of the builders who took their breaks in a ‘canvas hut’. Each day I shared a piping hot cupper and their sandwiches. One day I was informed it was my turn to supply a bag of tea and sugar. With the good grace of Dad I obliged next day with the suppies and some biscuits to boot. I was allowed to wander the whole building site. Not a hard hat in sight. Wonder what our H & S zealots would say today. 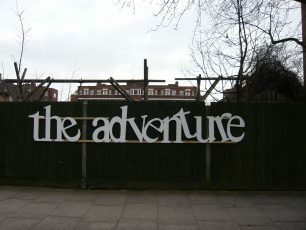 Later the Adventure Playground also housed a youth club. It was always heaving with teenagers. Halcyon days. Despite my help the Estate was finished and has withstood the test of time. Wonderful memories. 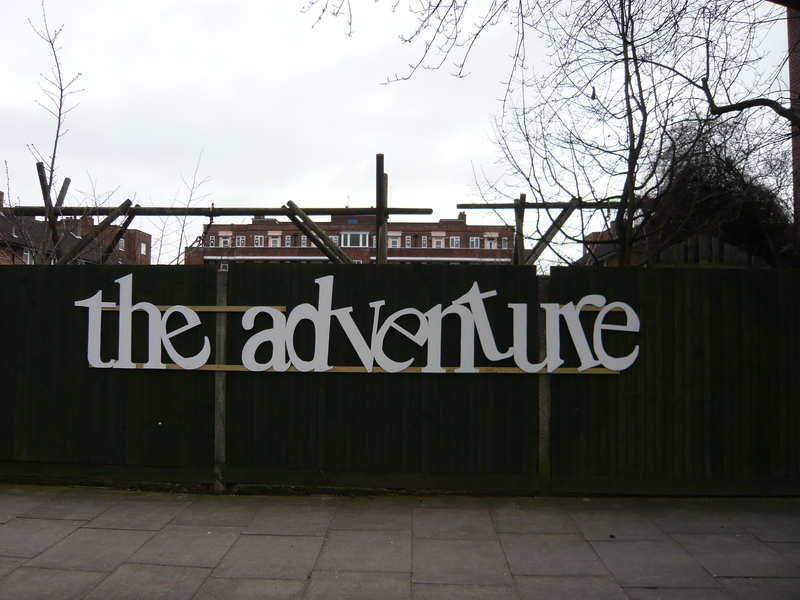 I remember when the Adventure Playground first opened on completion of Townsend Estate, in the late 50’s, for many years it was run by a woman called Chris Winkley and her husband John who played the banjo. I was at Barrow Hill school from 1935 until 1940 when we were bombed out, The Headmaster was a Mr Powell and his sister also taught there, or perhaps it was his wife? I also went to the Open Air School in Regents Park does anyone have any images or remember it ? 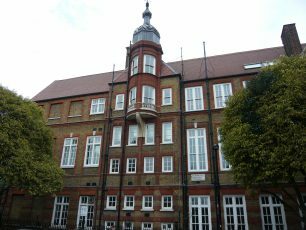 I wonder if anyone can tell me about St Mary’s school at the back of Abbey Road – it was the first school I went to – does it still exist ?